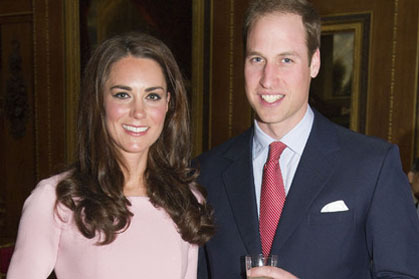 The news of Kate Middleton’s pregnancy will cause great joy across Britain and indeed many parts of the world. But nowhere will it be greeted with more anticipation than in the world’s gossip-crazed media, crazy for the next royal story. And this is the big one, the next heir to the throne, a great-grandchild for the Queen, and the latest member of “the lucky sperm club” as Warren Buffet so memorably described those born into wealth. So forget, dear world, about the serious issues facing us such as fiscal cliffs, Afghanistan, and European meltdowns. It is going to be wall-to-wall coverage of the running of the Royals, as every useless piece of trivia and gossip is flung onto the pages of every newspaper in the known world. As least we know who the parents are in this case which seems to be a major point of contention with Prince Harry who bears as stunning resemblance to Princess Di’s lover of five years, the cad James Hewitt. Hewitt you remember tried to sell 64 letters from Lady Di for $10 million when he ran into financial difficulties. We doubt if William and Kate will have any problems like that but then again, they are human beings after all, not some celestial beings as some media would have us believe. So we await with bated breath the birth of The Special One. Meanwhile the world turns and famines, fires, foreign conflicts all continue unabated. All changed because a child is born, not in a manger, mind but a palace.